This free Nexus 5 Video Converter can convert MKV, AVI, WMV,M2TS, FLV, MOV, VOB and more video files to Nexus 5 supported video format with fast speed and high quality. This free Nexus 5 Video Converter can not only convert videos but also download Youtube videos with best quality for your Nexus 5. Also, if you need a video to DVD converter, you do not need to find another one, free Nexus 5 Video Converter can do all of these for you! Can not find one good enough converter for your Nexus 5? Gotta try this one! Nexus 5 is an affordable device packing top-shelf specs. 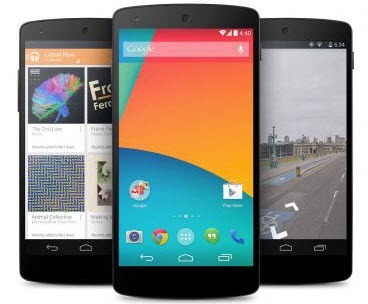 Made in collaboration with Google and LG, the Nexus 5 runs on the newest Android 4.4 KitKat. It is a solid performer featuring a Snapdragon 800 system chip and 2GB of RAM. It is also the first Nexus to put the focus on camera performance as it comes with an 8-megapixel shooter with optical image stabilization (OIS). The Nexus 5 features a 5-inch 1080p IPS display – that’s 1920 x 1080, giving us 445 PPI and it loads a processor much better than the Nexus 4, which offers us great visual feast. Tutorial : How to convert video to Nexus 5 with Free Nexus 5 Video Converter? Here the following is a brief guide on how to convert unrecognized video files to Nexus 5 with Free Nexus 5 Video Converter. PS: The following screenshot is captured from Free Nexus 5 Video Converter 5.5.1 version. Before we get started, let's download and install Free Nexus 5 Video Converter first. Click Output Profile drop down menu to select proper output profile for Nexus 5. It's recommended to choose Video Files > Customized MP4 Movie (*.mp4). Click Convert Now button to start converting videos for Nexus 5. Once the conversion is finished, you can click "Output Folder" button to get the customized output MP4 files. Then connect your Nexus 5 with computer, import output videos into it, and have fun! Any Video Converter Ultimate: convert DVDs to MP4 for Nexus 5? PS: The following screenshot is captured from Any Video Converter Ultimate 5.5.1 version. 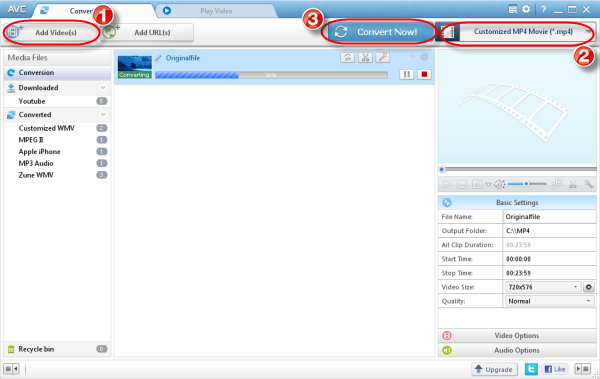 Step 1: Please download and install Any Video Converter Ultimate. Run it and add your input DVD. DVD disc, DVD folder and DVD ISO file are supported. Step 2:Click Output Profile drop down menu to select proper output profile for Nexus 5. It's recommended to choose Video Files > Customized MP4 Movie (*.mp4). Step 3: Click Convert Now button to start converting DVD for Nexus 5. 1. If your DVD movie contains multiple audio tracks/subtitles, you can freely select your desired ones from main panel of the program. 2. Under the preview window field, unfold Basic Settings, you can manually specify the chapters you want to rip and convert, for instance, 04 – 08, or 20 – 20. 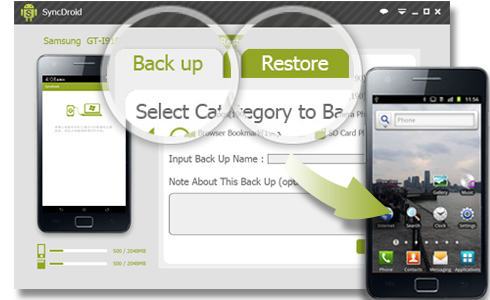 SyncDroid is the best and easiest backup and restore solution for Android. All Android users can use the free SyncDroid to backup and sync Android photos, videos, audio, ringtones, bookmarks or other files on and off Android, just with a few clicks.